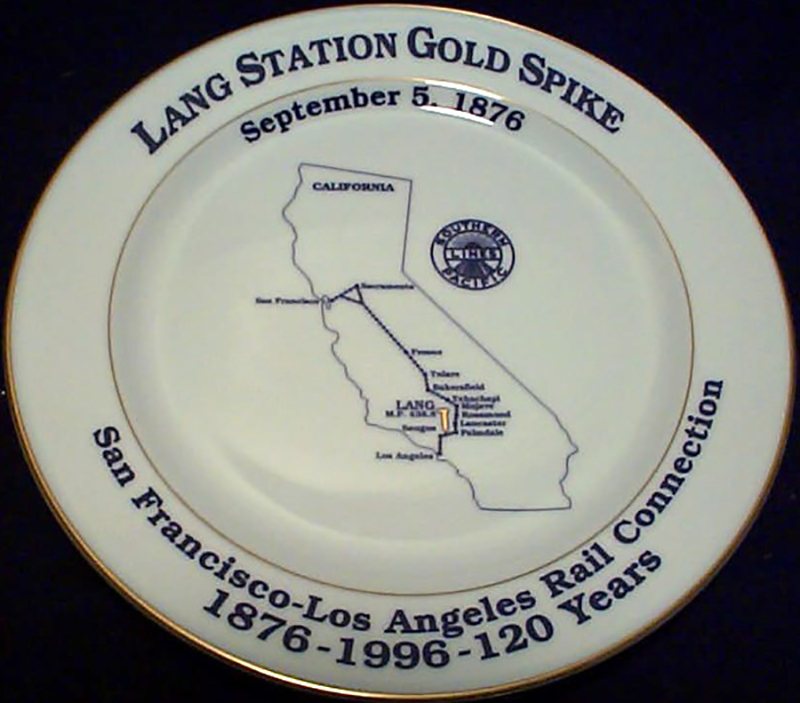 SCVHistory.com LW2057 | Lang | Commemorative Plate: Lang Station Golden Spike 120th Anniversary 1996. 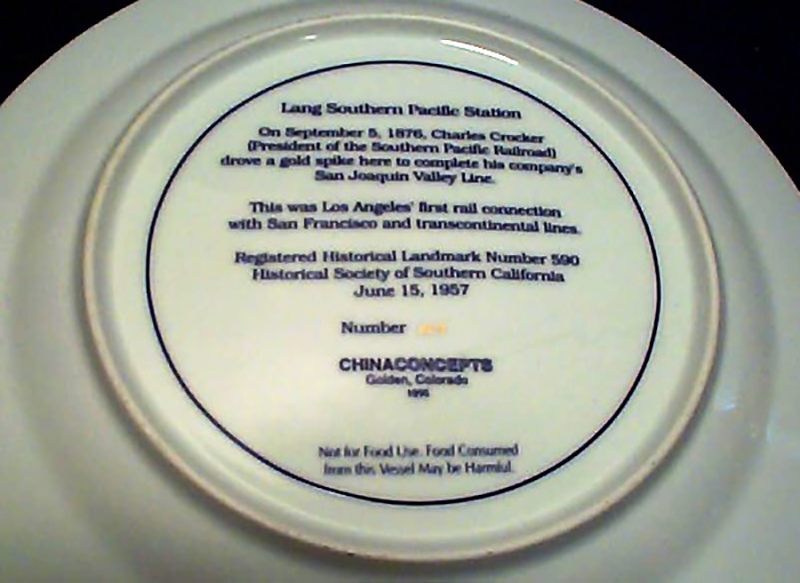 Southern Pacific collector's plate marking 120 years since the driving of the golden spike at Lang Station, linking Los Angeles and San Francisco by rail. Ironically, Southern Pacific demolished Lang Station in 1971. An historic marker remains where the station stood, about a quarter-mile east of the Shadow Pines Boulevard offramp off of State Route 14 in Canyon Country. ...and shows a map with railroad stops in Los Angeles, Saugus, Lang, Palmdale, Lancaster, Rosamond, Mojave, Tehachapi, Bakersfield, Tulare, Fresno, Sacramento and San Francisco. On September 5, 1876, Charles Crocker (president of the Southern Pacific Railroad) drove a gold spike here to complete his company's San Joaquin Valley Line. This was Los Angeles' first rail connection with San Francisco and transcontinental lines. Nor for Food Use. Food Consumed from this Vessel May be Harmful. LW2057: 9600 dpi jpeg from smaller jpeg of plate, collection of Leon Worden.